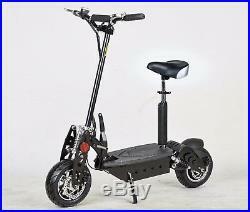 Electric E scooter 1000W 48V. This listing is for a brand new CE-certified. 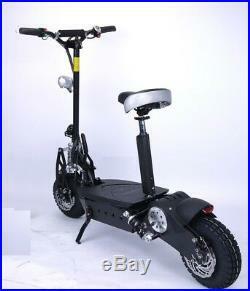 Galaxy 1000W 48V Cyclone TWIST-AND-GO EScooter. 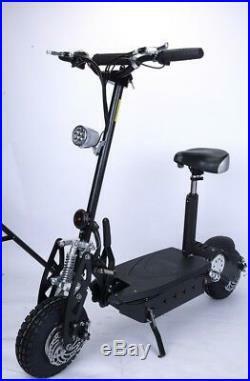 This Galaxy Cyclone electric scooter comes with a powerful genuine 1000W motor and stylish 12 all-terrain tyres. Very stylish with aluminium forks and alloy wheels. 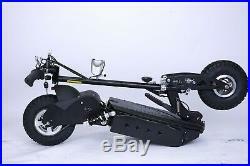 High performance capable of speeds up to 35km/hour and travel up to 25km range depending on load and terrain. 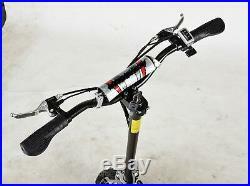 Front & rear disc brakes, pneumatic tyres, full swing arm suspension and dual rear shock absorbers. Adjustable seat and folds for ease of transport and storage. Please note - branding on images vary to the actual product. These will be branded "Galaxy Cyclone". Images vary to the actual product. Motor Power - 48V 1000W. Battery Capacity - 48V 12Ah Lead acid rechargeable battery. Tyre size - 12 inch. Range - up to 25km. Charging time - 4-6 hours. Package size - 119 x 32 x 46cm. Colour options - Red, Black, Blue. For ages 10 years and over. Some assembly is required including installation of handle bars. Prior to use the fuse must be installed, the battery charged and tyre pressures checked as details in the manual. Not suitable for children under 10 years old. Protective equipment (helmet, knee pads and elbow pads) should be worn, not to be used in traffic. Note: vehicle not to be used on UK & Ireland public highways (roads/pavements), vehicle must be used on private property with owners consent, appropriate protective equipment to be worn and children must be supervised by an adult at all times. 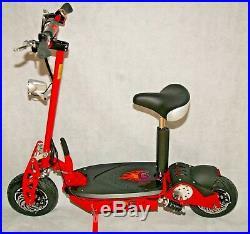 The item "Electric E Scooter Powerboard Kids Adult 1000W 48V ride on sit on EScooter" is in sale since Wednesday, January 30, 2019. 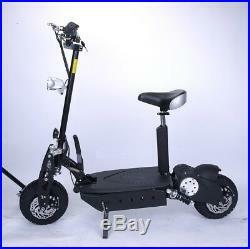 This item is in the category "Sporting Goods\Scooters\Electric Scooters". The seller is "galaxyworldlimited" and is located in Stratford-upon-Avon. This item can be shipped to United Kingdom, Ireland.